The ProFlo two-piece toilet is a simple, comfortable, and effective toilet. ProFlo is a brand that not only creates toilets but as well as bathroom fixtures, accessories, sinks, and bathing items. The brand is known for its user-friendly and affordable products that customers have come to love over the years. In this ProFlo toilet review, we won’t focus much on the brand but rather its ProFlo toilet. The ProFlo toilet is exceptionally designed and can easily blend with any modern bathroom. Its sleek design can fit perfectly in normal bathrooms but it is compact enough for some small bathrooms. Installing this model is also easy as it comes with most of the items that you need for set up. Apart from that, the toilet features a powerful flushing system and uses less than 1.28 gallons of water per flush. So, if you’re looking for a toilet that will help you to conserve water and offer you comfort at the same time, then the ProFlo toilet is an ideal toilet for you. Read our detailed review to find out more about this affordable toilet. 3 Summary: Why buy ProFlo Elongated toilet? The toilet features a toilet design that is similar to most other toilets on the market. It is made of porcelain, which is a durable material, thus it will last longer. Moreover, the toilet is a two-piece design and thus shipping it is easy as it comes separately. Also, the toilet has a complete glaze which makes cleaning to be easy and fast. One of the most vital features of any toilet is its flushing system. This determines how effective the toilet will be and the amount of water that might be used in the long run. A good toilet should be flushed once and clear all the waste in the bowl. The ProFlo toilet is a gravity fed toilet which clears and moves the waste easily within one flush. In addition, it has a MaP rating of 1000, which means that it has the ability to move a large mass easily and without having to flush the toilet several times. Besides, this toilet flushes quietly and therefore, it won’t be a nuisance to other people or create any unnecessary attention. Who doesn’t want a comfortable toilet? This is one of the features that make people fall in love with this toilet model. Unlike some toilets that are high or lower to sit on or stand up, this toilet model comes with a comfortable height for all kinds of people. It doesn’t matter if you’re an adult or disabled, you will still be comfortable using it. It has a toilet height of 17-1/2 inches from ground to toilet seat. In addition, it comes with a toilet seat which provides more comfort. After you’ve checked the toilet height, another vital feature that you should always look for is the type of toilet bowl. Elongated toilet bowls offer the best comfort and are great for spacious bathrooms. The ProFlo toilet comes with an elongated bowl that ensures that you’re comfortable especially if you take a lot of toilet on the toilet. Even though cleaning your toilet is very important, you should also mind the type of cleaners that you use. Not all toilet cleaners out there will leave your toilet in a good condition as others can cause scratch or damage to your bowl as they are very rough. Check out reviews and find out which are the best cleaners for your toilet. If you are not sure which cleaners to use, get in touch with the manufacturer. Using the right toilet cleaners will help you to easily maintain your toilet. Just like many other two-piece toilet models, this toilet is very easy to install. You don’t need the services of a plumber as you can read online or check out videos on how to install it. Request for help from a friend so that you don’t crash any part while installing the toilet in position. Assemble all the parts before starting the installation process. Things like the wax ring, flange bolts, and toilet seat are included for easy installation. Using this toilet will help you to save a lot of gallons of water per year. This is because it only utilizes 1.28GPF and that’s why this toilet is EPA WaterSense certified. Summary: Why buy ProFlo Elongated toilet? ProFlo operates quietly thus it doesn’t distract other people in the house at night when everything is silent. Many users have complained that the toilet arrives when damaged as it is shipped all the way from China. It is not durable as most users have reported damage or cracking of toilet parts such as tank and bowl after some time of use. It doesn’t flush perfectly as you need to flush at least twice in order to clear the waste in the bowl. Overall, the ProFlo toilet is a simple but elegant toilet that will easily fit in any bathroom and match with any décor. 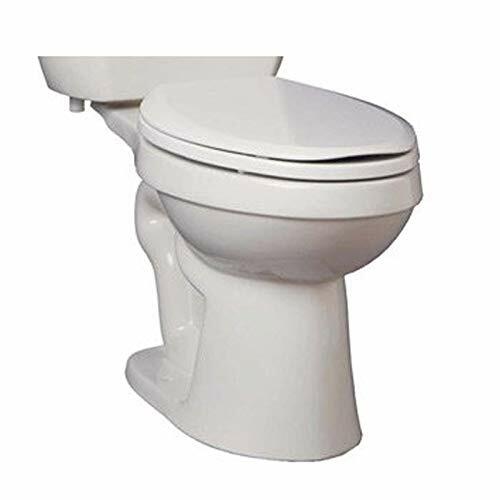 The toilet is easy to install and comes with a comfortable bowl and right height for different users to have an easy time sitting or standing up. Furthermore, the toilet is quiet in operation and thus it won’t disturb people when you use it while they are asleep. However, you should know that many users have complained that this toilet model is cheaply made and won’t last very long or some parts will not last long. So, as you prepare to purchase this toilet, just know that you will have to maintain it often. I have explained everything in this Proflo toilet review that you should know. Question: Is this toilet made in the USA? Answer: No, it isn’t. This toilet is not made in the USA, instead, it is made in China. This is very challenging as the toilet has to be shipped from China to the USA. Also, getting spare parts if it’s broken or if you want a replacement will be quite challenging. Question: What is the height of the toilet? Answer: The toilet comes with a comfortable or ADA height as the toilet bowl measures 17-1/2 inches from the ground to toilet seat. This means different users will have a simple time sitting down or standing up from the toilet. Thus it is ideal for tall people or even the disabled ones. Question: Can I install this toilet on my own? Answer: Yes, you can. 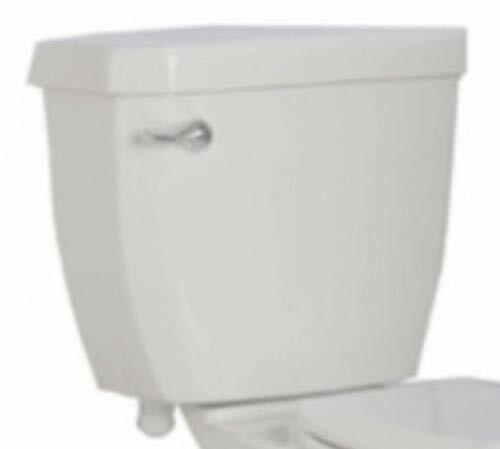 This toilet is very easy to install as it comes with a standard 12-inch rough-in. In addition to this, the toilet comes with a two-piece toilet combination, wax ring, plastic toilet seat, and flange bolts. This makes installation easy as you don’t have to purchase a seat or wax ring separately. Still, have a question after reading this ProFlo Toilet Review? Comment below.